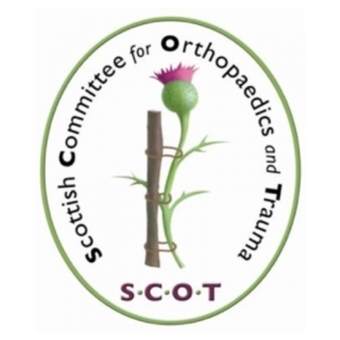 Patrick Porter, a 2018 graduate from the TORT Centre successfully presented his research at the Scottish Committee for Orthopaedics and Trauma Meeting on September 7, 2018. Patrick’s presentation won third prize for oral presentations at the SCOT meeting, held this year at Dunblane Hydro, where he competed with orthopaedic trainees in service. This year’s guest lecture was by Rhidian Morgan-Jones on the subject of “The Infected Knee Replacement”. Patrick studied BSc (Hon) in Applied Orthopaedic Technology at the Department of Orthopaedic & Trauma Surgery in 2017-2018. Patrick’s research, entitled “Volar plating: functional recovery of the pronator quadratus”, supervised by Mr Graeme Nicol, Mr Alasdair MacInnes and Dr Tim Drew, aimed to record pronation power and muscle activity in participants who have had volar plating in order to identify whether the function fully recovers. The project was the culmination of constructive collaboration between two motivated NHS orthopaedic trainees, Graeme and Alasdair, and the academic department of orthopaedics at the TORT Centre. Patrick’s research won him the Scientific Communication Award for 2018, which is presented annually by Professor Rami Abboud (Head of Department of Orthopaedic & Trauma Surgery), to the student who has written the best scientific research paper submission for the year as per the relevant journal guidelines. Left: Patrick (right) with Mr Alasdair MacInnes (Trainee Orthopaedic Surgeon at NHS Tayside) who also attended the meeting; Right: Patrick analysing his collected data at the Institute of Motion Analysis & Research, TORT Centre.